And now I can post a decent view of my tank, went again to seahorse yesterday and came back with some plants and a school of small galaxy rasboras and an assassin snail. - 1 x Althernanthera Reineckii 'Rot' -> this one has been there for a month with Temps of 28ºC (had an issue with the heater) and has been trimmed twice. 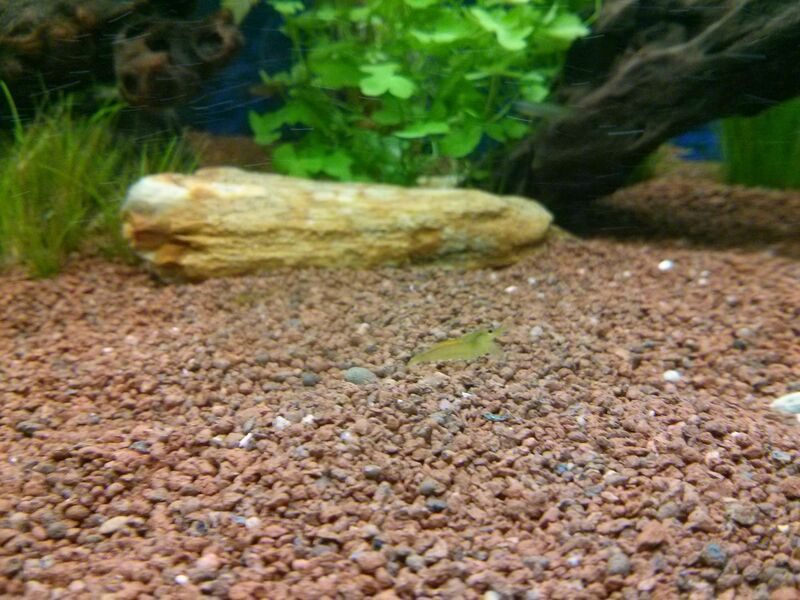 Have to thank Abdarudeone for the MTS (breeding like rabbits), anglecichlid for the cory's (they're so funny to watch) and thanks a lot to Homer for L-144, galaxies, tylomelania and helpful advices. P.S: Thanks to Jay and Darren for your patience with my english and for your advises, the piece of hose worked perfectly. Was nice to meet you Darren. Last edit: 05 Jun 2014 10:17 by Aroshni (Lydia Olivera). Last edit: 09 Jan 2014 08:44 by Esoxluciouss (denis goulding). I'm waiting for 4 pots of this one and planning to add one Staurogyne repens, the moss I posted on the other topic and one of this and one riccia fluitans for the tree. Last edit: 09 Jan 2014 00:13 by Aroshni (Lydia Olivera). Hey looks great!! Complete difference from when I seen it first!! Sure Brian, next time I trim it I'll save some stems for you. Is a beautiful plant and very easy to maintain, and grows fast. I want to add some lampeyes and some neon or cardinal tetra. And shrimps. 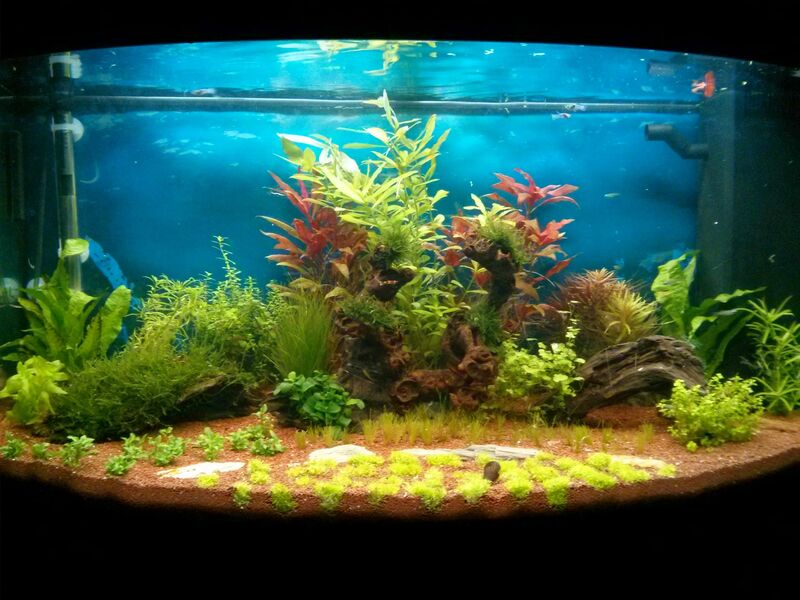 Will have nano fishes mainly. Stem now seems more live! How strong lights do you have? Try to get co2 becouse easy carbo want replace it. I have 2x T8 JBL natur and my living room has a lot of natural light all the day. What do you mean with the easy carbo? I'll have a look at your link, thanks. pleaser meeting you to Lidia. Your English is fine. It's my hearing that's not great. 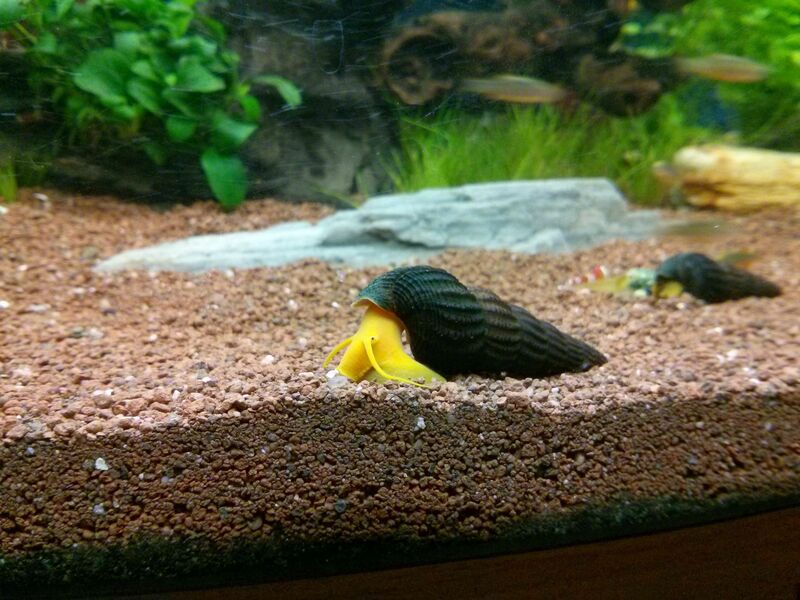 Your tank is looking well. You must let me know how you get on with that (new to me) moss. delighted u got the shrimp.. i will be interested how things go for you.. what else is in there with them... Need more plants..
Easy carbo can not replace co2 fed from a bottle. 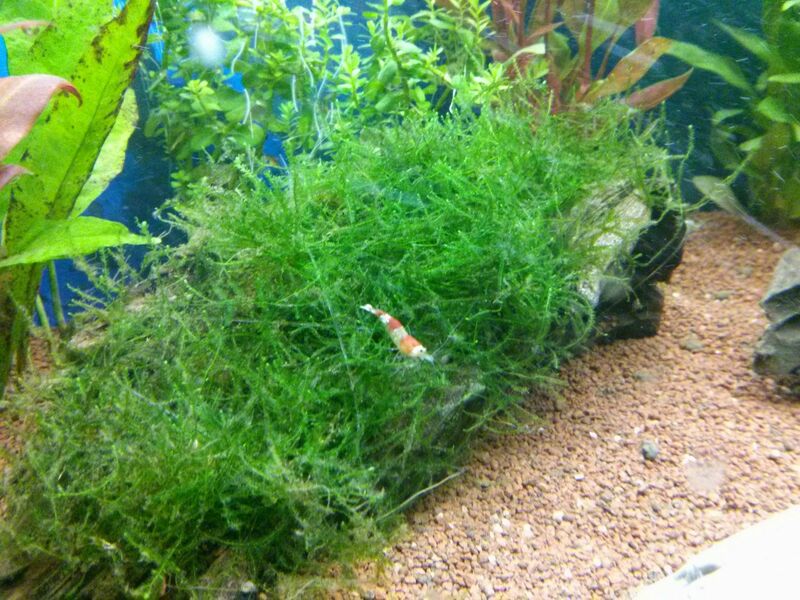 It helps only absorb carbon dioxide by plants and help with some algae problem. I can be wrong but this is not just my opinion. 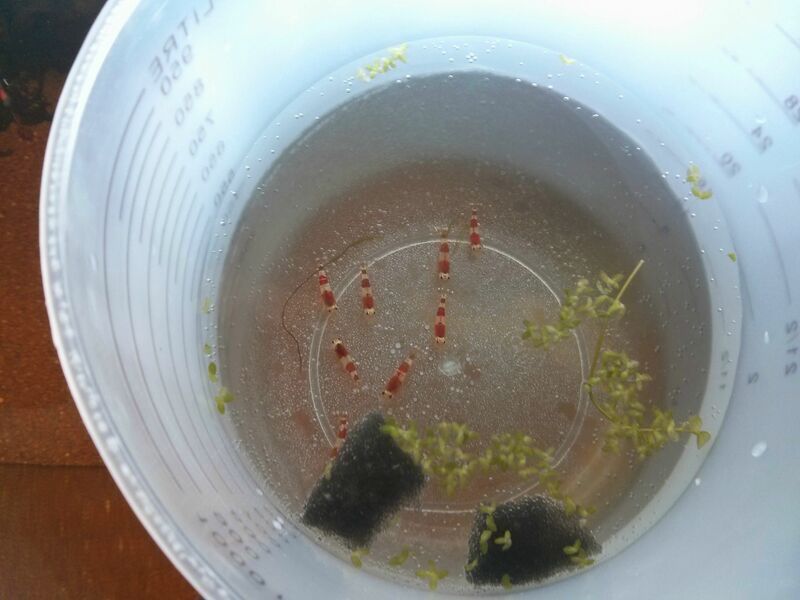 You have 2xt8 but they can be 2x 15,19,30 or 39 W. Natural light is very tricky, can cost lot of algae. When you read my link you will find out more. More lights you need but if you have stronger lights need some co2 setup. Got 2x 25W solar natur, bought them because the guy from the lfs told me it was better. 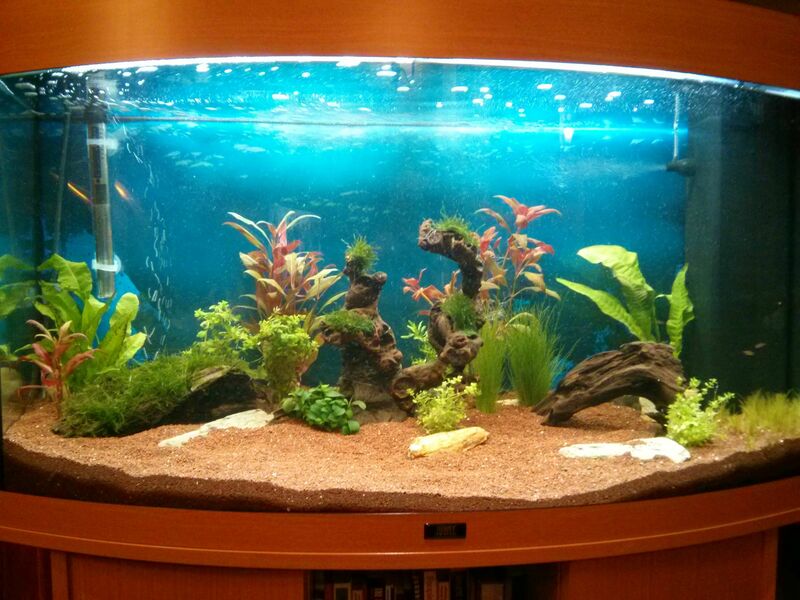 they are good but i mean 50W lights in 180l tank give you 0,3 W per litre witch is not much for plants. Your plants will need more. Dont worry too much about CO2 there are plenty of plants you can grow in a low tech tank. You will have to watch out the temperature for your crs, they do best in the low twentys. You do have a good eye for design, the two pieces of wood in the middle look nice together. Thanks Anthony, the red crystals are so active and funny, love observing them. 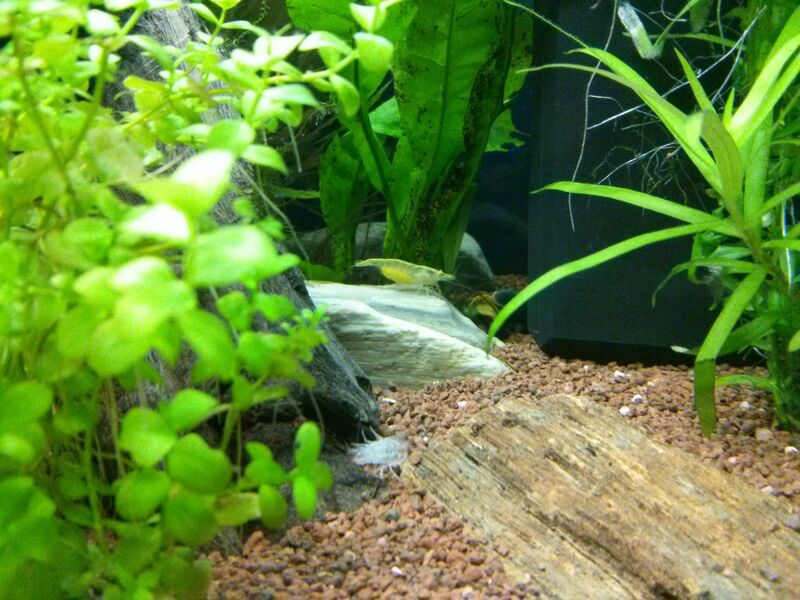 They love the wooden piece of the middle, once the the moss grow bigger would be even better. 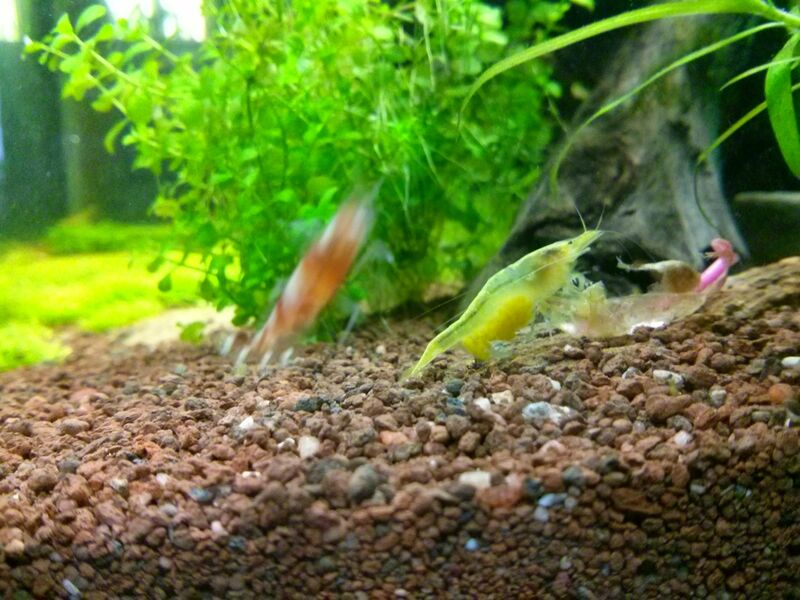 The temp of the tank goes from 24 to 24.5 C .
The plants I have are doing really well, beautiful colors and growing, some of them grow very fast, so for now I think I will keep the easycarbo + profito formula. Do not try to be clever but just trying to help. zabol001 wrote: Do not try to be clever but just trying to help. I don't understand the sense of this sentence...but I wasn't meaning to offend to anyone, I do appreciate your help it's just seems complicated for me atm adding a CO2 sys (maybe in future I add the CO2) and/or adding chemicals for the plants which I don't know can damage my shrimps/fishes. 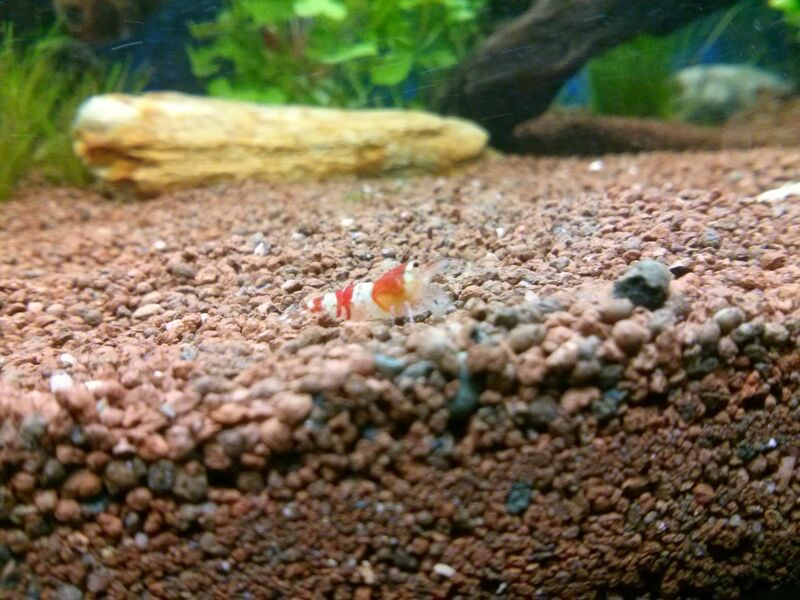 Added a couple of sulawesi orange rabbit snails and 5 dwarf guppies. All of them are beautiful, didn't know about this guppies but when I saw them at seahorse I got impressed. Will post photos of the guppies soon. Added some plants, some of them courtesy of Inza, merci beaucoup! Last edit: 25 Jan 2014 20:09 by Aroshni (Lydia Olivera). A life making mistakes is not only more honourable, but more useful than a life spent doing nothing at all. Very nice Lydia, glad I could help ! Thanks guys, I tried to put it i the best way I could. 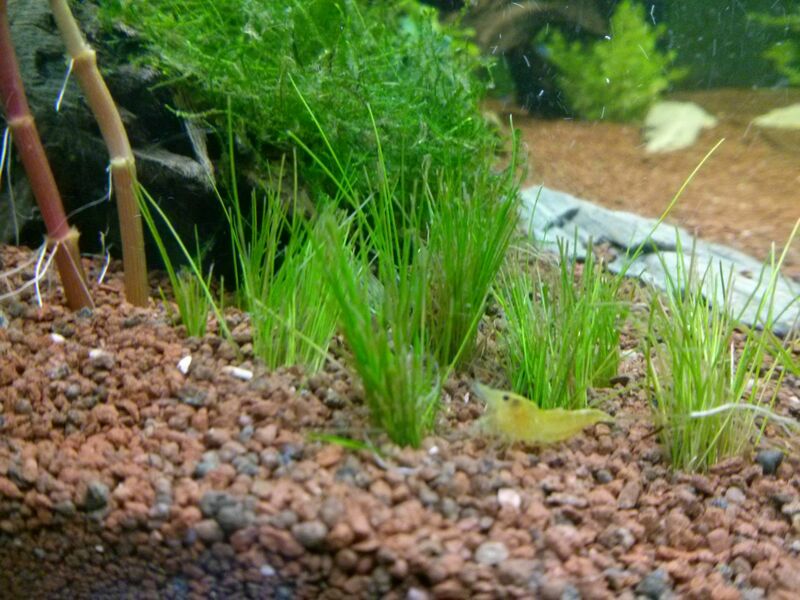 After 3 weeks with my shrimps one of my yellows got eggs, she is huge! Last edit: 03 Feb 2014 21:31 by Aroshni (Lydia Olivera). Thanks Alan, I'm just adding easy profito (15ml weekly) along with the easycarbo, I have some hard plants that requires CO2 like utricularia graminifolia but atm it's doing well without it, can't imagine how would be with it.